Part 4 in a series, "Prosecutorial Misconduct and Police Corruption in Drug Cases Across America." In what could become an historic case, a Florida doctor acquitted of drug dealing charges over his prescribing practices is asking the US Supreme Court to reinstate a $600,000 award made to him by a lower court after federal prosecutors were found to have engaged in misconduct that was "vexatious, frivolous, or in bad faith." That language comes from the Hyde Amendment, enacted in 1997, which gives federal judges the power to force the government to pay attorney's fees to acquitted defendants if the actions of those prosecutors met that standard of misconduct. The case of Florida physician Dr. Ali Shaygan has been closely watched by pain-management doctors -- an area in which the federal government has waged a fierce "war on prescription doctors" -- a war fueled by a rising death toll in recent years from prescription drug overdoses in America, but also preceding that rise. Since 2003, according to DEA, hundreds of physicians across the nation have been charged in federal or state court for illegally dispensing narcotic pain medicine to patients. This past August, the 11th US Circuit Court of Appeals overturned the trial court decision awarding the money to Shaygan, who had operated a Miami pain clinic. He was acquitted in March 2009 of 141 counts of illegally distributing narcotics to patients, including one case where a patient died of an overdose. Shaygan's attorneys charged that two Assistant US Attorneys, Sean Cronin and Andrea Hoffman, as well as a DEA agent, had acted "vexatiously" and withheld materially important evidence after Shaygan was originally charged in a 23-count indictment. US Circuit Court Judge Alan Gold, who presided over the high-profile trial, agreed that prosecutors violated disclosure requirements by withholding information from the defense and the court and ordered the cash award. Judge Gold also accused the government of launching a separate "tactical" effort to disqualify the doctor's attorney, David Markus, shortly before the trial began. In that effort, which Gold characterized as part of a scheme to undermine the defendant's rights to a fair trial, the prosecutors failed to notify the defense that the DEA had attempted to manipulate two witnesses in the case into trying to entrap Markus into paying off witnesses to give favorable testimony at the trial to help the doctor beat the rap. Following a sanction hearing after the doctor's acquittal in 2009, Judge Gold issued a scathing ruling against the prosecutors. The government conduct was so "profoundly disturbing that it raises troubling issues about the integrity of those who wield enormous power over the people they prosecute," Gold concluded. After Gold requested that the Justice Department investigate the government's misconduct, prosecutor Cronin conceded to the Miami Herald, "We should have done a better job," but insisted that "at no time was I acting in bad faith." He said he authorized secret recordings of attorney Markus because a witness, Courtney Tucker, had told a DEA agent the defense might be trying to tamper with her testimony. Yet Tucker contradicted Cronin's claim when she testified that a DEA agent had tried to pressure her to tailor her testimony to bolster the prosecution's case against Dr. Shaygan. When federal prosecutors appealed the cash award to the 11th Circuit, a sharply divided panel overturned it, holding that Gold had overreached and wrongly interpreted the Hyde Amendment by applying the incorrect legal standard for awarding the fees under the statue. The appeals court majority also held that "as long as a prosecutor had an objectively reasonable basis in law (not frivolous and not vexatious), an award of attorney fees under the Hyde Amendment is improper." One judge concluded that the overall prosecution and allegations on the original indictment were "objectively valid." But in a harsh dissent, Judge Beverly Martin wrote that the majority opinion "will render trial judges mere spectators of extreme government misconduct." Markus told the Chronicle the appeals court reversal was not what he expected. "The decision was surprising given how the oral argument went and how thorough Judge Gold's order was," Markus said, adding that he was appealing to the Supreme Court. Now a coalition of former federal judges and prosecutors, organized by the bipartisan group the Constitution Project has signed onto an amicus brief supporting Markus's writ of certiorari asking the Supreme Court to overturn the appeals court decision and reinstate the cash award in US v. Shaygan. "When a court bends the law to excuse a prosecutor's bad faith, public confidence in the criminal justice system suffers," the Constitution Project brief said. The wheels of justice in Dr. Shaygan's case began turning on June 9, 2007, when one of the long-term patients at his pain clinic, James Brendan Downey, died of a drug overdose from a fatal combination of prescribed methadone and illegal cocaine. Shaygun had prescribed the methadone to Downey two days before he died, and an autopsy found that the levels of methadone in his blood alone were enough to kill him. In a subsequent undercover sting operation, two Florida police officers posed as potential patients at Shaygan's office to determine how easily they could obtain prescribed narcotics. Federal prosecutors said both officers obtained a prescription for controlled substances on their first visit without presenting medical records, and that Shaygan only administered minimal physical examination. On February 8, 2008, the Southern Florida US Attorneys Office filed a 23-count indictment against Shaygan alleging that "the doctor distributed and dispensed controlled substances outside the scope of professional practice unintended for legitimate medical purposes in violation of 21 U.S.C. 841." Three days later, DEA agents arrested Shaygan at his office. Agents seized Shaygan's active patient files and even confiscated his leather-bound daily planner. Prosecutors said that DEA agents reported that Shaygan allegedly made a statement to the effect, "I want to cooperate." On May 14, Markus filed a motion to suppress his client's statement during his arrest. At a post-hearing on the suppression motion held on August 2008, Markus clashed with lead prosecutor Cronin over Markus's attempt to keep his client's alleged statement from being heard by the jury. 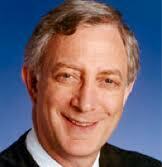 Cronin threatened Markus with an enhanced prosecution of his client if he persisted in that strategy. "Cronin told me that if we litigated the suppression issues, there would be no more plea discussions, and that if I went after his witnesses (DEA agents), there would be a 'seismic shift' in the way he would prosecute the case against Mr. Shaygan," Markus said. Markus dismissed Cronin's threat and forged ahead with the suppression hearing, offering up damaging testimony by Shaygan, who testified that DEA agents, while flashing their weapons, continued to interrogate him, despite his request to speak with a lawyer. Agents denied this happened. After hearing from a defense witness that he overheard Shaygan say, "May I please have my lawyer," Judge Gold granted the motion to suppress, which barred prosecutors from using Shaygan's statements during the trial. Then, playing legal hardball, prosecutor Cronin made good on his threat, filing an additional 108 drug charges against Shaygan totaling hundreds of years in prison and bringing the total number of charges filed against him to 131. Cronin filed the extra charges after DEA agent Chris Wells located and interviewed Shaygan's former patients Carlos Vento, Trinity Clendening, Courtney Tucker and Andrew McQuarrie. These former patients would play a pivotal role in the misconduct allegations against federal prosecutors Cronin and Hoffman. Before trial, prosecutors Cronin and Hoffman received a tip from DEA agent Wells that Shaygan's defense team might be tampering with the witnesses. Wells said one witness, Courtney Tucker, "was about to go south and not testify." Prosecutors relayed this new information to Karen Gilbert, the Assistant US Attorney in charge of the narcotics unit. Gilbert authorized DEA agent Wells to ask witnesses Tucker and Carlos Vento to record phone calls with the defense team and for the witnesses to ask attorney Markus for funds to testify that Dr. Shaygan had not overprescribed medication that killed James Downey. Vento later signed a confidential informant agreement with the DEA. During a three-week trial in beginning in 2009, prosecutors characterized Dr. Shaygan as a drug dealer who recklessly sold prescriptions for dangerous narcotic painkillers, such as oxycodone and methadone, to increase his wealth. Prosecutor Cronin told the jury the government would prove that Shaygan's illegal distribution of methadone contributed to Mr. Downey's death. Jurors viewed evidence showing prescription bottles from Shaygan found in Downey's bedroom, where he died in his sleep. Downey's girlfriend, testifying for the government, said her boyfriend had obtained methadone from Shaygan hours before he died. But the girlfriend also undercut the prosecution's case by testifying that Shaygan had questioned and cautioned Downey about the large amount of methadone he had requested. Defense attorney Markus further undercut the prosecution case by presenting evidence of additional medicine bottles at the scene prescribed by other doctors. For the defense, renowned expert forensic pathologist Dr. Michael Baden testified that when Downey used multiple prescribed drugs there was no verifiable way to conclude the drugs given to him by Dr. Shaygan actually caused his death. Then, in a dramatic twist right out of Perry Mason, former Shaygan patient and government witness Trinity Clendening let slip that he had recorded for the DEA a telephone call he made to to Markus's office to solicit payment for testifying on Shaygan's behalf. 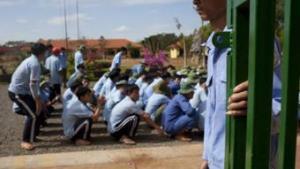 A recording later heard in court showed that that Markus had directly refused to offer bribes. "I am not paying money for anything," he said on the tape. Markus was furious. During a hearing outside the presence of the jury, he hammered the witness. Clendening, now unraveling the government's deceit, revealed the whole scheme to set up Markus for a witness tampering charge. Markus attacked the prosecutors relentlessly over their withholding evidence of the scheme. In closing arguments, Markus rhetorically compared the prosecutorial misconduct in Shaygan's case with the infamous Salem Witch trials, and told the jury it had been misled by the government's flagrant violation of the law through withholding evidence that the defense had asked for under the law and not received. Judge Gold instructed jurors that they were legally bound to consider the prosecutor's violations of the law during their deliberations over Shaygan's guilt or innocence. 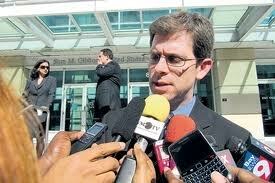 After deliberating four hours, the jury acquitted Dr. Shaygan on March 12, 2009. Shaygan's relatives, friends and colleagues erupted with cheers after hearing the verdict, and jurors hugged Shaygan as he left the courtroom. "I feel vindicated," Shaygan told the Miami Herald. "I feel that my life can move forward again." "This verdict sends a message that justice prevails," Markus added. But justice hasn't prevailed just yet. The federal prosecutors who engaged in the misconduct have not been punished for their actions, either criminally, professionally, or financially. The 11th Circuit Court of Appeals decision reversing the $600,000 award for misconduct that is "vexatious, frivolous, or in bad faith" remains the last word on the affair -- unless the Supreme Court agrees to take the case. At least, Dr. Ali Shaygan is out from under his legal woes and, having had his license to prescribe medicine reinstated, he is once again helping patients. Prominent pain patient advocate and Pain Relief Network founder Siobhan Reynolds, 50, was killed in a plane crash on Christmas Eve day. She was one of three people aboard a small private plane attempting to land at an Ohio airport that afternoon. The plane missed the runway and instead crashed on a parallel road, killing all aboard. For the last decade, Reynolds had been a fierce advocate for patients suffering chronic pain and the doctors who attempted to treat them with high-dose opioid pain medication protocols. She came to be an advocate through personal tragedy -- her husband, a chronic pain patient, died as the family moved cross-country seeking effective relief for him. But Reynolds turned her personal tragedy into activism of the highest sort, founding the Pain Relief Network to advocate for an effective response to the under-treatment of pain in this county. She was present for the trial of Northern Virginia pain management pioneer Dr. William Hurwitz, a trial I attended and where we first met. Hurwitz was convicted of being a drug dealer and imprisoned, an injustice that only deepened Reynolds' fire for justice. She and the Pain Relief Network played a central role in winning freedom for Richard Paey, the wheelchair-bound pain patient sentenced to 25 years in state prison, and that was just one of her many interventions in the DEA's war pain doctors. Where the DEA saw only "pill mills" and Dr. Feelgoods, Reynolds saw the effectiveness with which high-dose opioid theory brought relief to suffering people. Her feisty and tireless advocacy brought her into direct conflict with the DEA and federal prosecutors, most notably in the case of Kansas pain clinic owner Dr. Steven Scheider, who was charged with over-prescribing pain pills, and his wife, Linda, a nurse who was charged along with him. 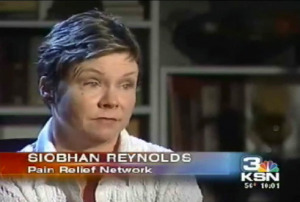 When Reynolds set up shop in Kansas to publicize the case and the issues and lend support to the Schneiders, Assistant US Attorney Tanya Treadway opened a criminal investigation into Reynolds and the Pain Relief Network, seeking, among other things, all of Reynolds' email, phone records, and other communications with doctors, patients, and attorneys. As always, Reynolds fought back against the feds, and, in a shameful episode in American jurisprudence, she lost -- and worse. Not only was she forced to comply with Treadway's subpoena, but Treadway and the federal courts conspired to hide the whole sordid episode from public view. The ruling in the case has never been published, nor are the briefs available for scrutiny. Reynolds was even barred from sharing the briefs she submitted with the press. That ruling was the last straw for the Pain Relief Network, which Reynolds announced was being dissolved a year ago. But not for Reynolds. I spoke with her earlier this year, and she was planning to form another pain advocacy organization. It is our loss that she never got the chance. Siobhan Reynolds wasn't always easy to work with because she was a true believer in her issue. She was impatient with potential allies who were not willing to go as far as she was, whether they were physicians groups or academics or drug reformers. She wanted the Controlled Substances Act abolished as an abomination, and if you weren't ready to go there, she didn't really want to waste her time with you. But sometimes a movement needs a determined, fiery-eyed idealist. Siobhan Reynolds was that person for the movement against the under-treatment of chronic pain. My friend and colleague Siobhan Reynolds, founder of the Pain Relief Network (PRN), died in a plane crash this weekend outside Columbus, Ohio. The pilot of the plane, her partner Kp Byers, was also a pain activist, an attorney whose practice had focused since 1992 on defending medical professionals caught in the crosshairs of the drug war. Radley Balko has written an extensive tribute to Siobhan, online here. So does Jacob Sullum at Reason. As Radley has noted and as many others will doubtless note, Siobhan's work organizing media and legal support for patients, doctors, pharmacists and nurses was a courageous one. An article in the New York Times last year by Adam Liptak shows the degree to which prosecutors and even some judges felt threatened by the scrutiny Siobhan and PRN had drawn to their handling of certain cases, and the lengths to which they were willing to abuse legal process to shut her down. Perhaps the daring of riding in a small plane is a mirror of the daring she showed in her career taking on the government. PRN did shut down last year, the organization's financial resources and Siobhan's own resources depleted by the struggle. But Siobhan was working on forming a new patient advocacy organization, Radley noted. I hope that others will take up that torch in her name. The under-prescribing of opiates to many patients who need them, and the injustice of lengthy mandatory minimum drug sentences being leveled at doctors and others over prescribing practices that at worst are debatable, is one of the most challenging problems in the drug war to take on. There is far too little help -- medical, advocacy, or otherwise -- for the people most deeply affected. Among those people were her husband, the late Sean Greenwood. The Pain Relief Network still has an online presence, and its home page provides Siobhan's reasons for the organization's closure and her hopes of what could happen in the future. Our own web site has an archive devoted to the pain under-treatment issue, much of the material in it about Siobhan's work. Also, Siobhan wrote several articles this year on prohibition and the drug war's impact on the doctor-patient relationship, the articles linked to from her web site. Last but not least, in the YouTube video posted below, "Being Unable to Help," Siobhan talks about what was impossible to do for her husband in the current medical and legal environment. Share it widely. More than eight out of 10 of the world's inhabitants have little or no access to opioid pain medications, the International Narcotics Control Board (INCB) said Wednesday. The finding came as the INCB released both its Annual Report 2010 and a special report on the global availability of pain medications. People in many countries in Africa, Asia, and parts of the Americas had little or no access to opioid pain medications and psychotropic substances for medical purposes, the INCB found. Opioids include both narcotics, such as morphine and oxycodone, and synthetic opiates, such as fentanyl. Psychotropic medicines include depressants, antidepressants, and antipsychotics. "Ninety percent of the licit drugs are consumed by 10% of the world's population in the United States, Australia, Canada, New Zealand and some European countries," Hamid Ghodse, the INCB's president, said in a briefing on the release of the reports. "It has to be recognized that the availability of narcotics and psychotropic medicines is indispensable to medical practice," Ghodse told reporters. The special report on the availability of pain medicines found that while the global supply of raw opium for licit needs is adequate, there are a number of obstacles blocking their availability in large parts of the world. The INCB identified the obstacles in descending order as concerns about addiction, reluctance to stock or prescribe, lack of training of professionals, restrictive laws, administrative problems, cost, distribution problems, lack of supply, and absence of policies around the prescribing of the drugs for pain treatment. Lack of supply was near the bottom of the list. 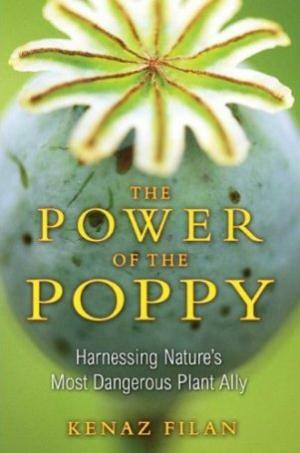 The INCB said opiate raw materials, including opium, poppy straw, and poppy straw concentrate were sufficient to outstrip consumption. "There is no problem whatsoever with the availability of raw materials," Ghodse said. Ghodse called on governments to analyze the problem, identify barriers to adequate availability, and take action to reduce or remove them. The report called on governments to collect data on licit drug requirements, legislation, education and training, national drug control systems, and steps to combat misuse. For the INCB, the flip side of barriers to adequate pain pill access in large swathes of the world is excess availability, which it said can lead to abuse and drug dependence. While the number of single doses of opioid pain medications consumed has increased four-fold in the last 20 years, driven largely by increases in synthetic opioid production, consumption in the US, for example, has increased six-fold. The US now sees more people dying of prescription drug overdoses than from illegal drugs. "In countries with excessive availability, the non-medical use of pain relievers, tranquillizers, stimulants or sedatives has become the fastest growing drug problem," the report said. That is a theme repeated from last year's INCB report, when the monitoring body reported that the abuse of prescription drugs was increasingly markedly worldwide. More people were taking prescription drugs for non-medical reasons than were using heroin, cocaine, and ecstasy combined, that report said. 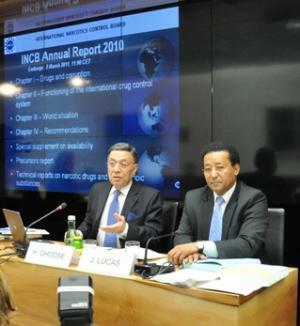 Another major theme for the INCB in this year's report was increasing concern over the emergence of new synthetic drugs, or what it called designer drugs. The INCB said the development of such drugs is escalating so rapidly that governments need to adopt generic bans on new substances. The report cited 4-methyl-methcathinone, or mephedrone, which has effects similar to cocaine or amphetamines and is being marketed as bath salts under names like Ivory Wave. The drug is currently the cause of ongoing concern in the US, where it has been banned in at least four states, and in Europe, where it has been banned by the European Union. 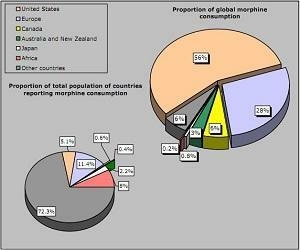 "Mephedrone has now become a problem drug of abuse in Europe, North America, Southeast Asia and in Australia and New Zealand," the INCB report said. But mephedrone is just "one example of a large number of designer drugs that are being abused." The European Union, for example, is monitoring 15 other methcathinone analogues alone, while Japan recently placed 51 designer drugs under control. The INCB is recommending generic bans on such substances. "Given the health risks posed by the abuse of designer drugs, we urge governments to adopt national control measures to prevent the manufacture, trafficking in and abuse of these substances," said Ghodse. The INCB's schizophrenic report -- increase access to licit opioid pain medications, continue to ban new drugs -- reflects its bifurcated mission. 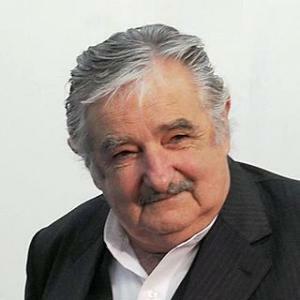 At the same time it is charged with ensuring an adequate supply of medicines to the world, it is also charged with preventing non-medical use and diversion. The Pain Relief Network (PRN) is no longer a burr under the saddle of DEA agents eager to second guess doctors or federal prosecutors out to make a name for themselves by prosecuting doctors for their medical decisions. PRN founder and leader Siobhan Reynolds announced December 29 that the group would no longer be an activist organization because "pressure from the US Department of Justice has made it impossible for us to function." The organization's web site continues as an educational and community forum. Reynolds was referring to an open-ended grand jury investigation directed at PRN by Wichita US Attorney Tanya Treadway, who had been irked by the group's fervent defense of pain medicine Dr. Stephen Schneider and his wife Linda, who were convicted of drug trafficking offenses for prescribing high doses of opioid pain relievers to patients at their Kansas pain clinic. Treadway first attempted to impose a gag order on Reynolds and PRN to prevent them from publicly discussing the case and the broader issues of pain control and the tensions between it the DEA's effort to prevent the "improper" prescribing of opioid pain medications. That effort was thrown out by the trial judge. Treadway then came back with a grand jury investigation seeking evidence of obstruction of justice for PRN's advocacy, and issued subpoenas demanding all PRN records having anything to do with the case, including Reynolds' phone and email records. Reynolds refused to comply and sought relief in the courts, but the organization was hit by $200 daily fines for each day it failed to turn over the records. Reynolds and PRN lost in US district court and at the 10th US Circuit of Appeals, which, most unusually, sealed its opinion. The government-imposed secrecy surrounding the case has been criticized by groups including the Reporters Committee for Freedom of the Press, which questioned why the court would "order the complete sealing of a record in which the facts are already publicly known and the traditional grounds for secrecy carry no force." In a post on Reason.com (linked above), Jacob Sullum noted that an amicus brief filed by the Reason Foundation (publisher of Reason) and the Institute for Justice, based entirely on publicly-available information, was itself sealed by the court. Unfortunately, the US Supreme Court last month refused to hear her appeal. (For more detailed coverage on these courthouse antics, see the PRN archive page here.) Broke and unable to obtain redress from the courts, PRN has called it a day. That is too bad. Reynolds and PRN were tireless activists on behalf of pain patients dating back to her ex-husband's search for relief from a debilitating condition. That search led them to Dr. Billy Hurwitz, a leading high-dose opioid pain reliever prescriber. But Hurwitz was himself prosecuted and convicted by the feds for his prescribing, kicking Reynolds and PRN into high gear. PRN also worked other cases of doctors persecuted by the DEA and federal prosecutors over their opioid prescribing practices. Reynolds and PRN also played a key role in agitating around Richard Paey, the Florida pain patient sentenced to 25 years as a drug dealer for obtaining pain meds from multiple pharmacies. Paey was later pardoned by Gov. Charlie Crist, thanks in good part to PRN's efforts. PRN may be done as an activist organization, but the community of patients Reynolds organized is not going away. Reynold's announcement indicated that they are looking at a possible new legal action in the Western District of Washington, but not under PRN's auspices. "I have continuing concerns about her nomination," Kohl told the committee. "I'm not going to hold her up here today, but I do intend to hold her nomination up on the Senate floor until we make more progress on our goal of ensuring nursing home residents get timely access to the prescription drug care that they need. The most recent suggestions we received from the Department of Justice require waiting for all 50 states to take action. That's not acceptable. Everyday nursing home patients continue to suffer from agonizing pain, so we need to get a solution to this problem of getting them the prescriptions drugs they need to alleviate this pain when they need it, which is not happening today." 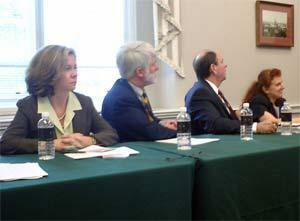 Sen. Sheldon Whitehouse (D-RI) also used the Judiciary Committee executive session to criticize the DEA. "DEA has been a real impediment to providing needed comfort and relief to seniors in nursing homes and far too bureaucratic," he said. "The agency has also been a real impediment to the expansion of e-prescribing -- only under real pressure have they tried to accommodate our very important concerns about developing the health infrastructure. I look forward to stronger signals from the DEA that they will take these concerns seriously." "I suspect these comments will be heard loud and clear," said committee chair Sen. Patrick Leahy (D-VT), before calling a vote on Leonhart's nomination. Leonhart is strongly opposed by the drug reform and medical marijuana communities, which had urged senators to ask her tough questions about DEA raids on medical marijuana providers, her refusal to approve a Massachusetts researcher's request for permission to grow his own marijuana, and other grounds. None of the senators actually did ask about those issues during her confirmation hearings last month, although the senior pain relief issue was also aired then.